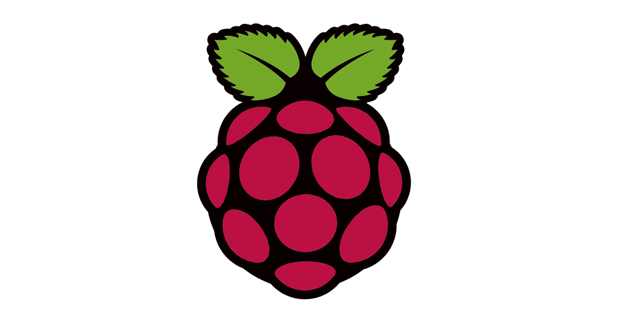 The Raspberry Pi team has updated Raspbian, the official operating system for Raspberry Pi. 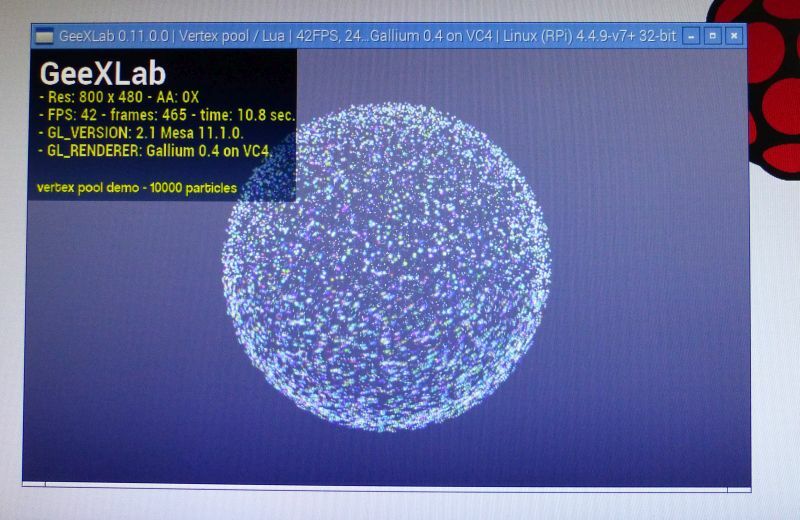 This new version comes with Linux kernel 4.4.9 as well as an updated version of desktop OpenGL: OpenGL 2.1 Mesa 11.1.0. 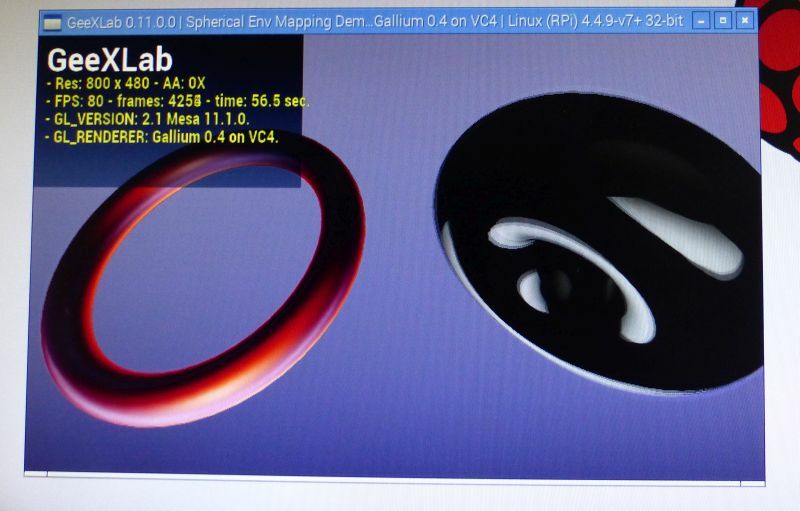 The OpenGL version of the previous Raspbian was OpenGL 2.1 Mesa 8.0.5 (see this article). The new Raspbian includes now Geany, a text editor for programmers. It’s part of my toolbox since years on both Linux and Raspbian and it’s nice to see it shipped with Raspbian. For the complete list of new features and changes, follow THIS LINK. The new Raspbian May 2016 can downloaded from THIS PAGE. The OpenGL 2.1 GPU acceleration is not enabled by default. You have only the software rasterizer. 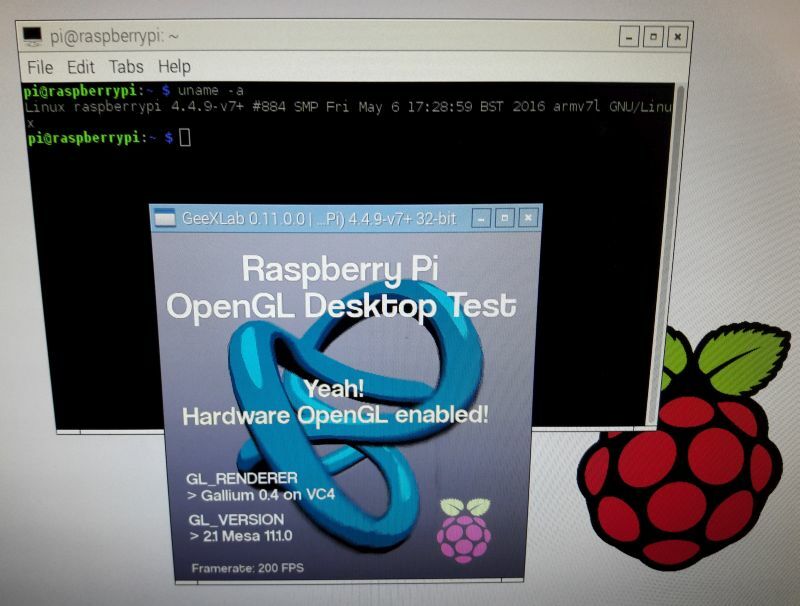 To enable the OpenGL hadrware acceleration, launch the raspi-config (sudo raspi-config in a terminal) and go to Advanced Options > A9 GL Driver.